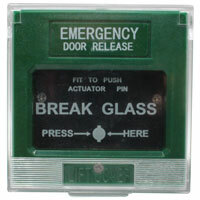 These door stopper alarms are to be placed on doors and windows. With the tapered side facing the direction at the point of access, people will not be able to access inside without setting off the alarm. The door stopper can withstand 400 lbs of force and has velcro bottom that will prevent from any sliding.